Schedule: DPWH Road Repair in Manila (May 29 - June 1, 2015) - Balita Boss! 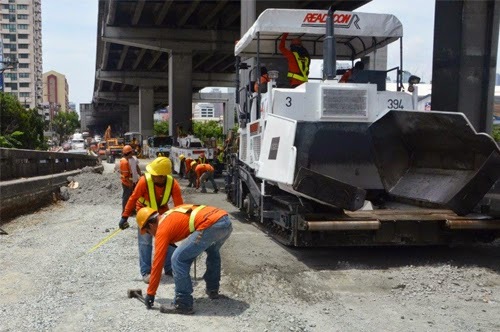 The Department of Public Works and Highways (DPWH) will undertake road reblocking and repairs in Quezon City, Pasig City, and Caloocan City effective 10 p.m. of May 29, Friday to 5 a.m. of June 1, Monday. Along Mindanao Avenue from Road 1 to Catleya St. (3rd lane, North bound). Along C-5 Road from Shell Gasoline Station to SM Warehouse going to Lanuza St. (1st and 2nd outermost lane, North bound). Along EDSA from Concepcion St. to Evangelista St. (lane going to Monumento, 6th lane from sidewalk, North bound).